Parkland- On the Ridge! Beautifully Renovated Estate home on a rare location overlooking Fish Creek Park. 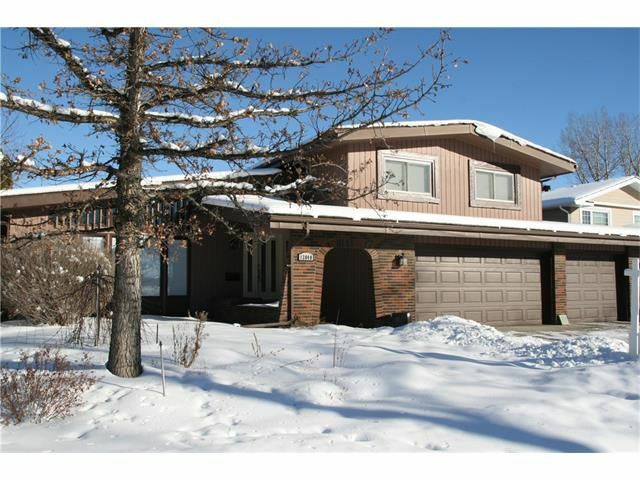 This 4 bedroom Family home was professionally renovated in 2012. Main floor features a sunny Living/Dining room with vaulted ceilings and maple floors, a gorgeous Legacy kitchen with island, granite counters and quality stainless appliances, huge family room with fireplace and a family friendly mud room with desk and lockers. Upstairs there are 3 bedrooms for the kids, a unique 5 piece bath and upstairs laundry. Luxurious master suite features a large walk-in closet and a 5 piece ensuite with jetted tub, 5ft tile shower, dual sinks and Travertine counters. Beautifully landscaped lot with a large composite deck, patio, irrigation etc. Lots of extras like 2012 roof, 3 furnaces (one for each level), central A/C, updated windows etc. Unfinished basement is ready for development with egress window, roughed in plumbing, studded and insulated ext. walls. A short walk to great schools and access to Park96! !